The Canadian tech space is on fire. (Google it and see for yourself.) Fintech. Paytech. Insurtech. Biotech. Healthtech. And, of course, artificial intelligence. Over the past few years, efforts have been made to identify individual leaders – entrepreneurs, innovators and influencers – that stand out in the Canadian tech space. For instance, Toronto’s 20 most brilliant tech innovators from 2016, or 40 top social influencers in finance, innovation and risk from 2017, or more recently these three lists from 2019 (this one by FGS, another by Betakit, and yet another by Daily Hive) of women to follow in Canadian tech. All good. But I wanted to know: Who are the tech influencers in Canada that are most engaged in social networks online? Emerging Score – Who has the most insider followers based on the age of their profile. Important note about influencer lists. These lists are based on quantitative data analysis, primarily using Twitter activity. There are many influential people in Canadian tech who are not as active online, hence they will not appear on these lists. 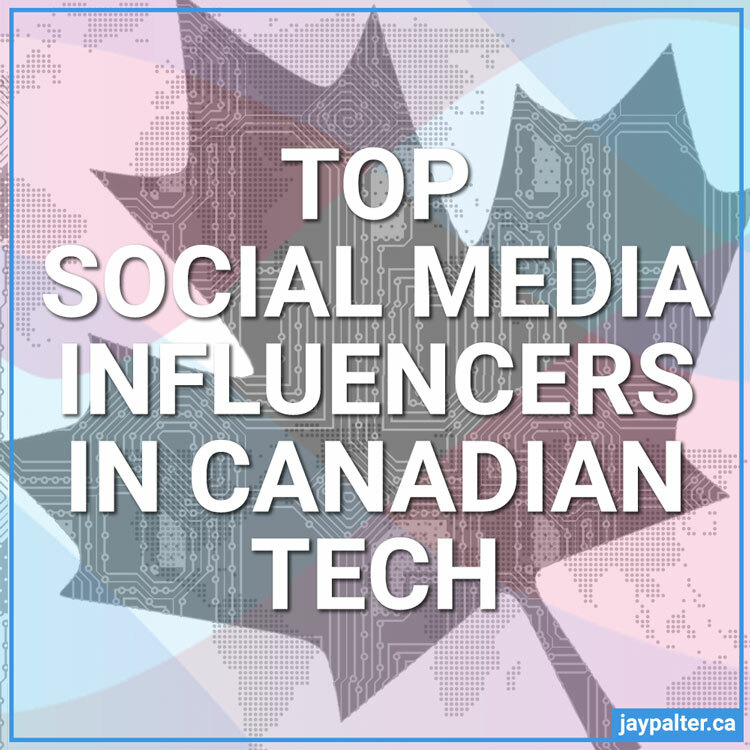 There are also people outside Canada that are active online and influence the discussions of tech among Canadians, but they will also not appear on these lists. Influence is highly subjective and readers will decide who they are going to pay attention to and be influenced by. These lists are presented as resources if you are looking for who to follow online and where people are having relevant discussions about the growing Canadian tech scene. 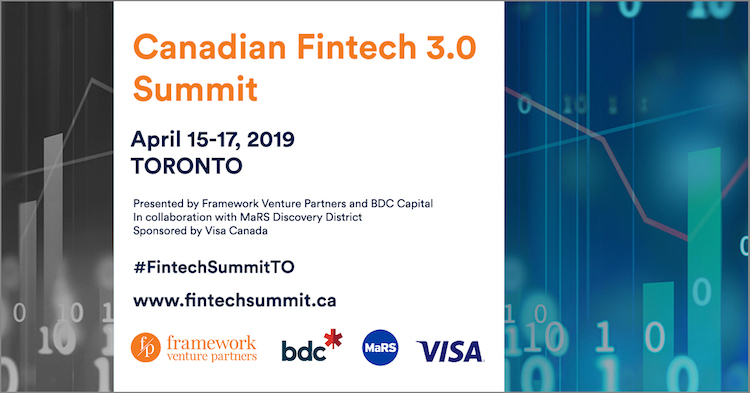 Another way to tune into the Canadian tech scene is to attend the Canadian Fintech 3.0 Summit, April 15-17, 2019 in Toronto. REGISTER NOW. Insider Score is simply the number of other insiders in this network who are following an account (on Twitter). The higher the rank, the more of the over 2000 people and organizations analyzed that follow that person. Arlene Dickinson | @ArleneDickinson | LinkedIn | Oh Canada! Minister of Innovation, Science and Economic Development // Ministre de l’Innovation, des Sciences et du Developpement Economique. MP for #Mississauga-Malton. Founder & CEO @joinmovethedial, movement to advance all #womenintech. Cabinet @SickKids to raise $1.3b & co-chair https://t.co/eyT4n8uAjj. Proud mom to Lily. Media theorist. Author. Adjunct Professor. Hammond B3 player. \nCo-founder of the @BlockchainRI. dad of 4, vp corp dev @shopify, ex-salesforce svp, co-founder helpful, rypple & workbrain, Canadian angel, bass player, adjunct prof @UTLaw. Steadfast champion of #startups & awesome people. Master connector. Partnerships + Community @TWG. Wannabe world traveller. Dog & Scotch lover. I like aand retweet nice things about @Wealthsimple and @TechTorontoOrg (#TechTO). Not a bot, I read every tweet. Entrepreneur. Co-Founder of @Clearbanc, @Buytopia & @SnapSaves (acq. by @Groupon). Dragon on @cbcdragon. Loves food, cabernet & the colour purple. word czar. two-guard. currently: @BetaKit previously: @MobileSyrup @BlackBerry and a bunch of dead sites you might remember fondly. \nWildly out of control. Founder and Chairman of @Globalive, entrepreneur and venture capitalist. Founder @WINDmobile @yakcanada and @OneConnect. Heather Payne | @heatherpayne | LinkedIn | Toronto, Canada! CEO of @hackeryou, my favourite company & community in the whole world. Founder of @learningcode. Angel Investor. One of Canada’s Top 100 Most Powerful Women. Founder & CEO @JoinLeague & Three Angels Capital. Board Director @vectorinst, @Perimeter, & @MaRSDD. ex @Kobo, Indigo, Critical Path, DocSpace, Zip2. Partner @RealVentures. Passionate about entrepreneurship, tech, Canada, giving back, running, cycling, nature. Associate @sagardholdings and @p3vc. Building Canada’s leading #fintech VC and multi-strategy alt. assets manager. Ecosystem builder. Former techie. Partner @PwC_Canada @PwC_Tech | Tweets tech, deals, business. #PwC #V2R / / Views my own. Content creator, community builder & tech junkie. Managing Editor, Innovation @RBC Office of the CEO. #RBCDisruptors Lead. Proud mom to Elyse +2 on the way! VP Engineering @Shopify – Helpful (Acquired), Pivotal, Xtreme Labs (Acquired), Achievers, Microsoft, Trilogy, Waterloo. Everything you know is wrong! Founder of @techvibes [acquired], Publisher of @kitsilano, Ultramarathoner, hockey player, husband & father of two. 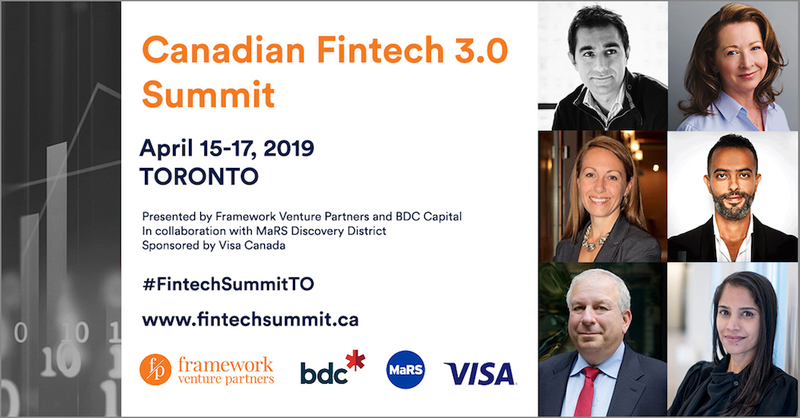 Attend the Canadian Fintech 3.0 Summit, April 15-17, 2019 in Toronto. REGISTER NOW. Network centrality ranks a person’s connection to more of the sub-communities within this group and represents an alternative way to look at influencer in the network. Data and #AI policy @NationalDefence. Reasonably subversive. #GCDigital. Husband of @amyin613. Tweets entirely my nonsense. CEO of @hardbaconca. Download Hardbacon in the App Store and invest like a pro. @PwC_Canada’s GTA Managing Partner, Banking and Capital Markets Leader and Global FS Brand Leader & Top 100 Most Powerful Women in Canada. Views are my own. Co-Chair @Venture__Out, Associate @BMO CM AML, Board Member @RaisingtheRoof, aspiring Gryffindor. #crypto #fintech #inclusion. She/Her. I will help you organize and simplify your personal finances. Beau Humphreys #PersonalFinance Coach, Blogger and Podcaster. former lawyer, former sports business scientist, leads communications for @TurboTaxCanada. I’m a story architect. I help startups and socially responsible enterprises unleash their stories, helping them achieve success. And an @marsdd facilitator. Leading the 4th industrial revolution with freedom and innovation. My personal view here (RT â‰ endorsement). PLUS: Subscribe to the Twitter list of Canadian TECH influencers. Emerging Score looks at the Insider Score as a factor of the age of their social account (Twitter). In other words, a person who quickly gets a lot of Insider followers will be ranked most emergent. Partner, Blakes. Corporate Law, M&A and PE. Tweets and RTs are (i) not legal advice and (ii) my views alone and not necessarily views of my firm or its clients. Managing Director – Hurt Capital; Founder, Canadian Dream Initiative – https://t.co/RvoMtD7WS0. Passionate about helping entrepreneurs build a better world. Hi, it’s Justin Fletcher at https://t.co/iDhDgLOUiC I love to help with #smallbusiness, #funding and business life. Let me know how I can help! Naturally #Curious – Fascinated by #Humans – #Pursuit of #Truth #Identity #math #data Electrified by all that is possible,when you dream as big as the world is! This list was developed using a commercially available social media analytics tool (Little Bird, now part of Sprinklr) which offers a powerful engine for crunching large volumes of social media data, primarily on Twitter. I used the software to compile various lists of online influencers that frequently communicate on topics related to technology (fintech, insurtech, payments, tech, womenintech, AI, etc.) in Canada and then I filtered out non-Canadians (based on location) and non-personal organizational profiles. The software scores influencers in a variety of ways, and I’ve chosen to display ranking by three scores (Insider Score, Centrality Score and Emerging Score) in order to show the relative value of different rankings and discourage over-emphasis on where individuals rank in any given list. However, when taken as a whole, the people on these lists represent important nodes in a potent word-of-mouth network. What marketing and PR agencies get wrong about influencer marketing.